During the history of the town of Appleton, there have been five post offices. 1. Appleton (1) post office was established on 15 August 1821 and was renamed on 10 April 1832 as McLain’s Mills post office. It was renamed on 26 January 1870 as Appleton (1) post office, which became Appleton Rural Sta. Union on 1 January 1979. This history needs further research. 2. Appleton (2) post office opened on 10 April 1832, closed 18 October 1836, re-opened 17 May 1866, and was renamed on 26 January 1870 as West Appleton post office, which closed 3 December 1965. 3. 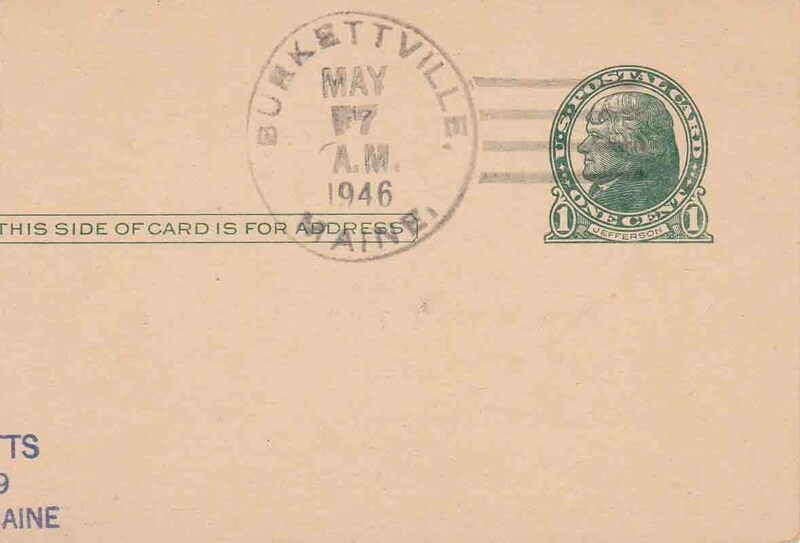 Burkettville post office opened on 3 July 1884 and closed on a date to be researched. 4. Elmwood post office operated from 17 March 1886 until 30 November 1904. 5. Humphrey’s Corner post office was established on 24 March 1848 and on 4 December 1848 was renamed as North Appleton post office. 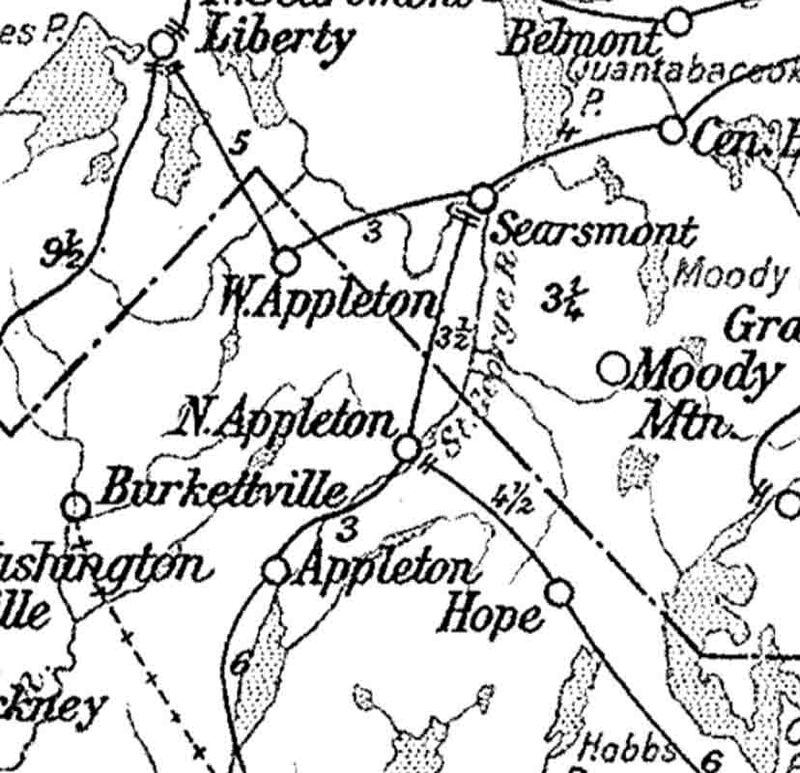 This was rescinded on 31 August 1904, but North Appleton post office opened on 5 September 1904 and closed 15 March 1928. The circular postmark is 31–32 mm in diameter. The four bars to the right of the circle are approximately 6 mm apart on center. The circular postmark is 31–34 mm in diameter. The four bars to the right of the circle are a little more than 4 mm apart on center.